The Trinsic Rose, Originally apart of the player town of Valoria but now moved to Trinsic. 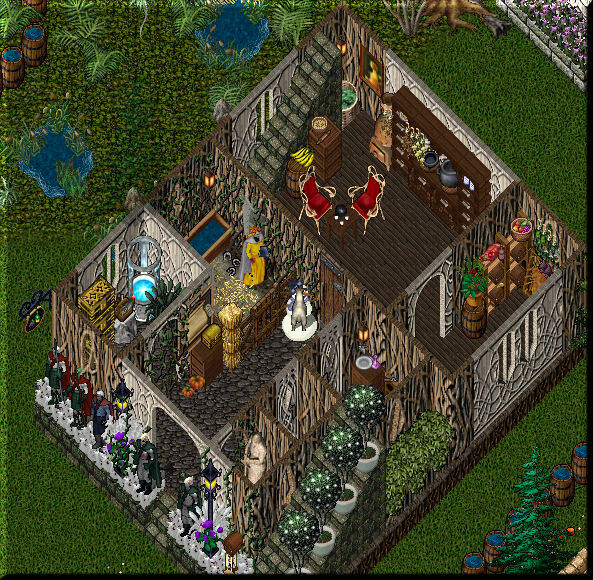 The Tavern is run by VanQa and her elven guild E-V. The Tavern is open 8pm-10pm GMT, Monday and Friday, But may be used any time for RP usage. Above the tavern floor there are rooms for long distance travellers to stay, Downstairs also has a few vendors that can be very helpfull! Upstairs, With the rooms for long distance travellers. And finally here is a map of the taverns location.